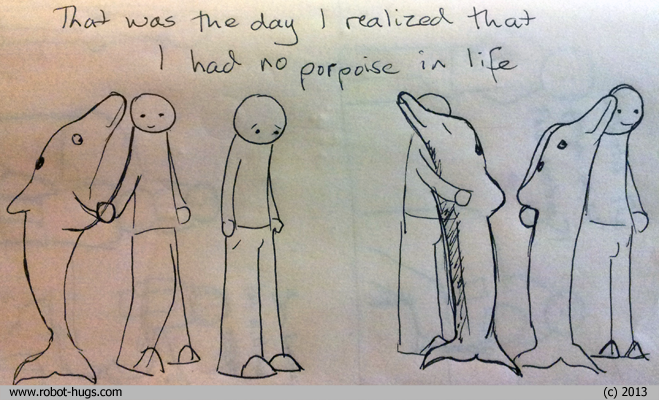 That was the day I realized I had no porpoise in life. Hah! This comic doesn’t reflect any sort of internal feelings ever.